Torquay are set to confirm Leroy Rosenior's exit from Plainmoor after lead shareholder Mike Bateson agreed a deal to sell his 51% stake in the club. Rosenior was unveiled as the relegated League Two side's new manager on Thursday but learned of the proposed takeover only 10 minutes later. The new consortium, led by Cris Boyce, is likely to appoint a new manager when the deal is completed later this week. Rosenior had been set to officially take over at Torquay on 1 June. Confusion surrounded the position of Rosenior after he confirmed to the BBC he was leaving the club, only for Torquay managing director Debbie Hancox to deny he had left. Rosenior was presented as the new manager at a news conference on 17 May. But on Monday he told BBC News 24 that Bateson called him shortly afterwards to let him know a deal had been struck. "He didn't envisage selling the club in the near future," he said. "So I did the press conference on Thursday, I did all the interviews, and within 10 minutes, Mike called me to let me know he had actually sold the club. "So it was something that I knew was going to happen but I didn't think it was going to happen after 10 minutes." Bateson has not commented on the future of Rosenior, nor did he comment on reports that the group would appoint former boss Colin Lee to replace Rosenior. But Rosenior said he was under the impression that he would not have a role at Torquay after the sale was finalised. "I've been told that a new consortium is coming in, they're bringing their own people and I won't have anything to do with it," he stated. The deal is expected to be completed early this week. Managing director Hancox denied that Lee was involved in the consortium, saying: "There are about eight people behind it but he is not one of them. "Whoever the new owners decide to appoint as manager will be up to them but it is a long way from going through yet." Lee was only made redundant from the post on 14 May. 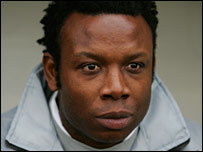 Rosenior, 43, was given the position of head coach at Plainmoor when Keith Curle's short-term contract ended. The former Brentford boss was set for a second stint in charge at Torquay. The shortest tenure in charge in English football to date is Dave Bassett's four-day reign at Crystal Palace in 1984 - but if Rosenior's departure is confirmed it will beat that by some margin.